For decades now, Taizé prayer has been gaining popularity in Catholic and Protestant churches around the world, particularly at Advent. Taize prayer is the creation of a monastic community based in in Taizé, France. It was founded in the 1940s by a Swiss man known as Brother Roger. The brothers are celibates who emphasize service and ecumenicalism, particularly reconciliation between divided peoples and divided Christians. Brother Roger was especially interested in bringing Catholics and Protestants together. 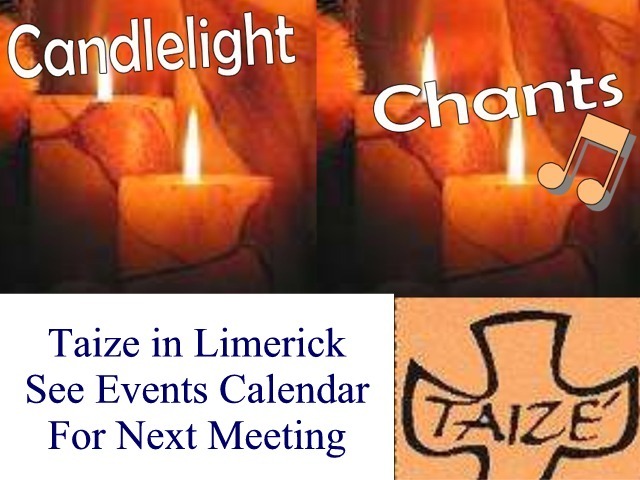 We are delighted to host this hour of peace, chants, candlelight and prayer in Limerick bi-monthly on the second and last Thursday evenings between 5pm and 6pm in the new location inside the church.